Wells Recycled Glass Soap Dish. 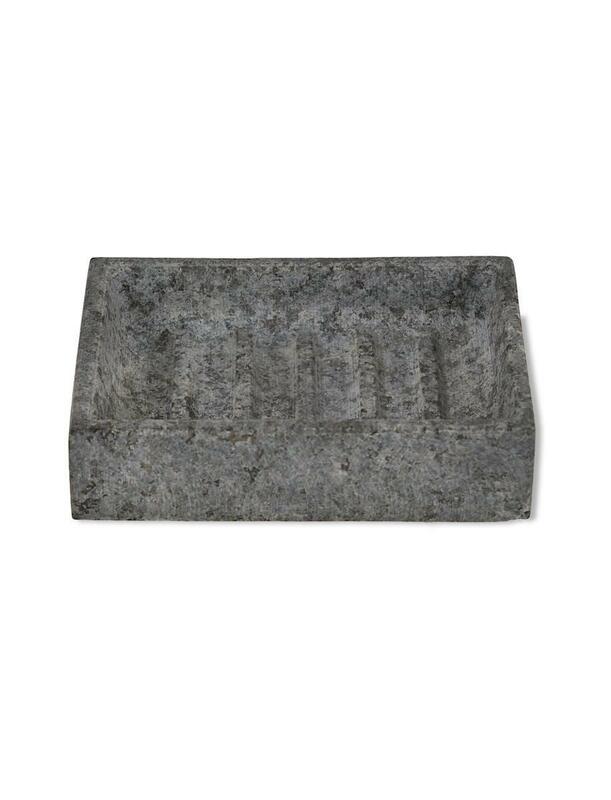 Featuring simple contemporary design the Soap Dish in Granite will sit perfectly in any bathroom or kitchen. 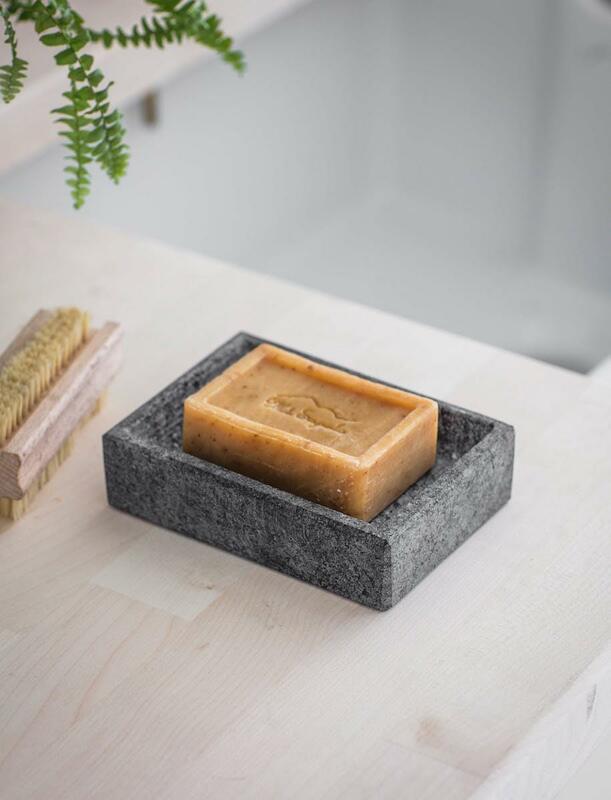 Rectangular and chunky in design it includes inner ridges allowing the soap to drain away excess water. 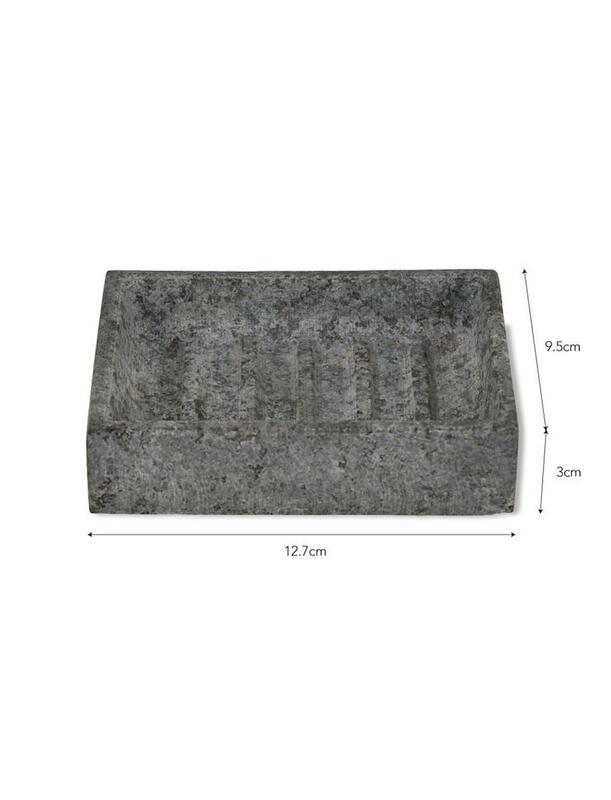 Its deep grey colouring will suit a range of interiors and comes in a specially designed kraft box making a perfect gift.